Elegant gilded gold leafing provides the backdrop for these fashionable award plaques. Easel back with ring hanger. 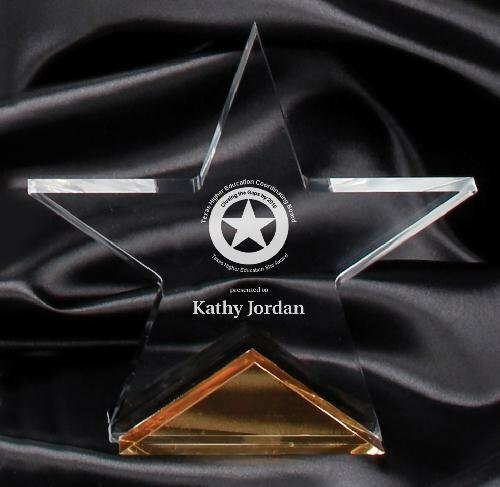 Simple Metal hollow star on solid black crystal base. Sharp and classic design that is waiting to impress any recipients.